I layered Always Artichoke, Bravo Burgundy and sheets from the Recollections ds. 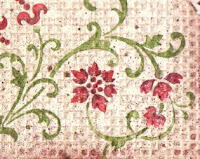 The Top Note layer was stamped with the flourish from Elements of Style, which was colored with markers. 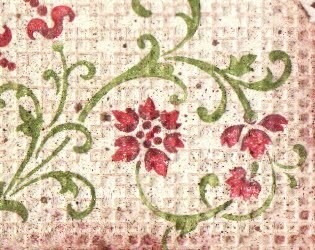 I then ran the image through the Big Shot in the Square Lattice folder, color embossed with Creamy Caramel. I then ran the whole thing back through the Big Shot using the Top Note die, then spritzed with both Log Cabin and Gold Smooch Spritz. The hummingbird is stamped in Bravo Burgundy, then spritzed with Gold Smooch Spritz. 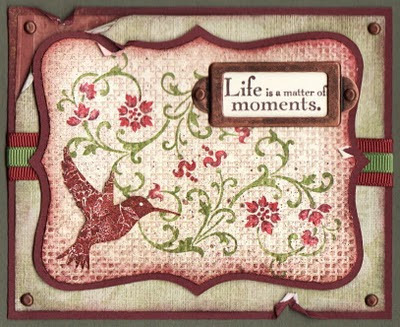 Your creations are so beautiful and inspiring! Woohoo!! Just got my new stuff last night and now you have given me something to CASE!! 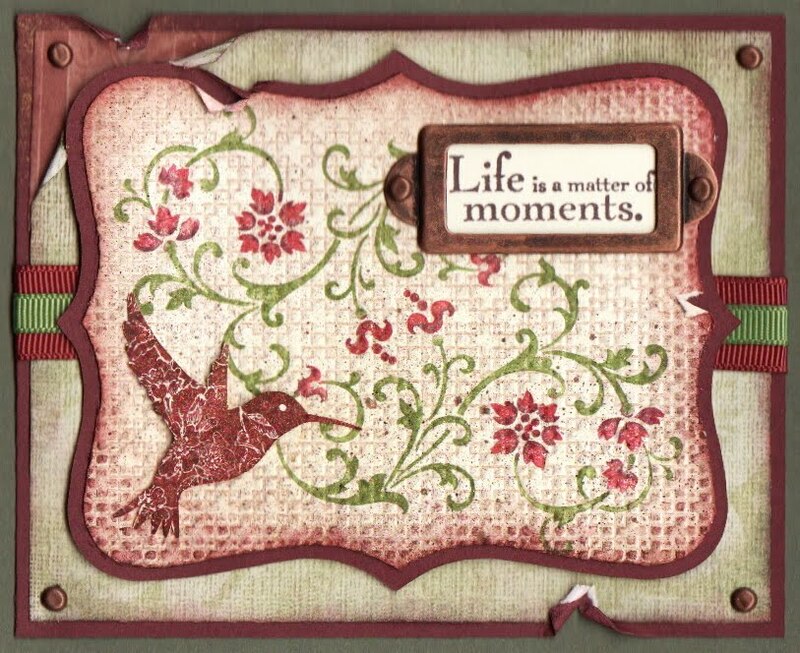 Love how you used the Smooches and Embossing Folder -- everything is simply gorgeous! I want to CASE!!!! It is perfect in every way. I'll have to use different stamps though, I don't have Elements of Style yet. That is just gorgeous!!!!!! I love the way you highlighted it! Are you jealous, Vera Wang? The Triumphant Return of Toile!